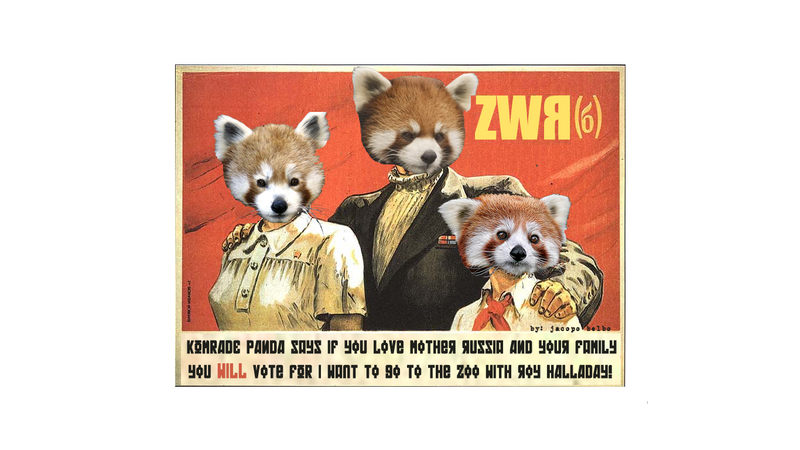 Zoo With Roy: Proper Panda Propaganda!!! 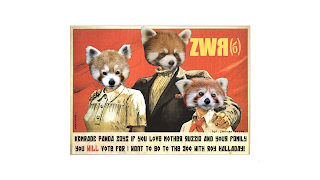 ZWR fan and guest submitter Jacopo Belbo (the creator of Komrade Red Panda) is very nice. A history buff, he also tells me that propaganda has long been used to communicate helpful social messages. 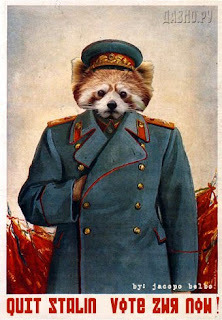 With that thought buoyed by the nervous excitement of taking on the man, he joined we and donated these supertacular Red Komrade pieces. I still haven't quite reconciled how we've equated Zolecki with ruling elite while at the same time going with a Soviet campaign, but I'm fairly certain it works.